Europe must cut coal power carbon emissions three times faster than they currently plan to in order to avoid the worst impacts of climate change, according to new research. The report, written by analysts at Sandbag and CAN Europe, arrives as world leaders are meeting in Paris to hash out a global agreement to tackle climate change. It is the first time the amount of carbon produced by Europe’s 280 coal-fired power stations has been calculated — it was 762 million tonnes in 2014. Coal accounts for nearly a fifth (18%) of the EU’s total greenhouse gas emissions, second only to the continent’s road transport sector (21%). There have been signs that coal is on the way out; late last month the UK announced its intention to close every coal power plant by 2025, becoming the first G20 economy to take such a step. And just before that Austria revealed that planned coal plant closures means the country will go coal free around the same time. There have also been recent murmurings in the Netherlands and Germany about putting forth coal phaseout timelines. According to the International Energy Agency (IEA), global carbon emissions from coal must be cut in half by 2030 if the world is going to avoid crossing the dreaded 2C warming threshold. By 2040, the global coal phaseout should be about 85% completed — coal carbon emissions must be reduced by 6% every year for the next 27. This is far faster than the 1% annual emissions reduction for other sectors because the IEA says swapping coal for clean energies like wind and solar is the cheapest and easiest way to cut global carbon emissions. Europe should be at the forefront of the global coal phaseout since its electricity demand is falling and strong renewables targets are already in place, the report says. For some countries, getting off coal may not even be all that difficult. There are only two coal power stations operating in Portugal, and they produce 16% of the country’s greenhouse gas emissions. 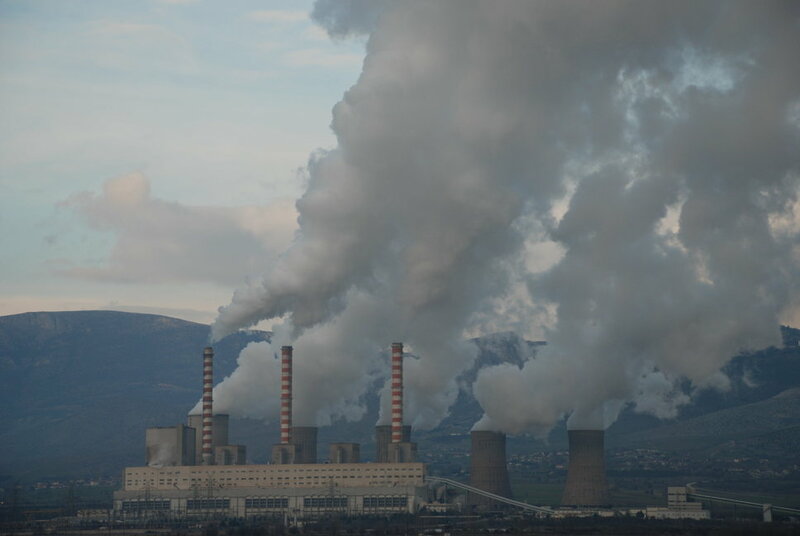 The two coal power plants in Slovenia produce 25% of national greenhouse gas emissions. Ireland’s one coal power plant – Moneypoint – was the source of 6% of its greenhouse gas emissions. On the flipside there are five countries in which multiple coal power stations are behind more than a quarter of the total greenhouse gas emissions — 44% in Bulgaria, 34% in Greece, 33% in Czech Republic, 33% in Poland, and 28% in Germany. Part of why so few coal plants produce such a large amount of carbon dioxide emissions is because Europe’s fleet is mostly old, inefficient and uneconomic. By the end of this year, 66% of Europe’s coal power stations will have been running for 30 years or more. These old coal power plants are labelled ‘sub-critical’, meaning they emit around 30% more carbon than new power plants when producing the same amount of electricity. They also break-down more often. That said, all of these emissions are steadily falling. CO2 has fallen from 934mt in 2005 to 762 last year, which means an annual reduction of 2.3% over the last 9 years. So it is happening. Just apparently not fast enough.